The Practice of Dr. Yanta offers comprehensive diagnosis and treatment for ear, nose, and throat disorders-including audiology and sleep disorders--to patients of all ages. Dr. Yanta and our highly trained staff offer personalized care and follow-up along with state-of-the-art equipment and best practices. We believe YOU are the most important person in our practice. Dr. Mark Yanta, Double Board Certified in Ear, Nose and Throat as well as Sleep Medicine, has been serving patients in North Atlanta for over 20 years. His Alpharetta location has been open since June 2012. 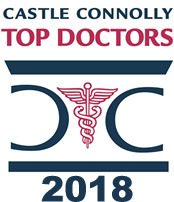 Congratulations Dr. Mark Yanta, You're A Castle Connolly 2018 Top Doctor! Dr. Mark Yanta has been honored Castle Connolly selection as a 2018 Top Doctor. This award which is voted on by physician peers only. Dr. Yanta is proud to offer Inspire therapy is a breakthrough implantable treatment option for people with Obstructive Sleep Apnea who are unable to use or get consistent benefit from CPAP. While you are sleeping, Inspire monitors every breath you take. Based on your unique breathing patterns, the system delivers mild stimulation to the hypoglossal nerve, which controls the movement of your tongue and other key airway muscles. By stimulating these muscles, the airway remains open during sleep.